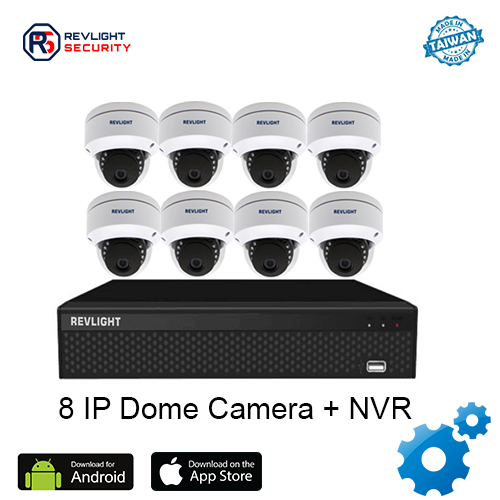 Our 8 Camera NVR Security System Consists of 8 IP camera including one 8 channel nvr system with 3 TB video recording storage, which has 1 year warranty. Know what’s going on 24/7 with wireless security cameras. High-Definition Video 8 Camera IP Security System with 1080 lines of resolution lets you see in greater detail. Simply mount to the ceiling or wall with the versatile easy-mount bracket to get the best coverage from the best HD CCTV cameras. With weather-proof housing you can see what’s going on both indoors and out. Working with one of our systems, like the set-up, is easy. 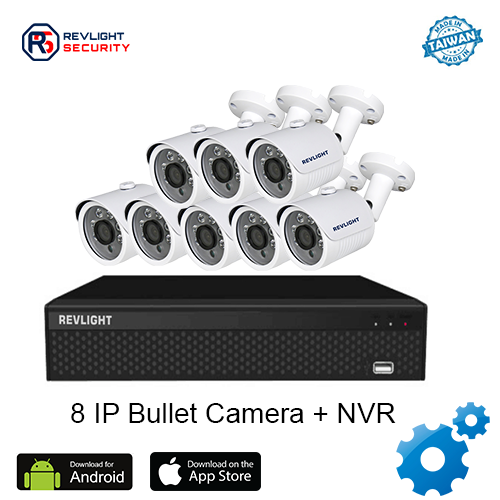 If you aren’t sure which is the best for you, talk to our Revlight Security CCTV Team experts today for a free consultation at +65 6678-6557. You deserve the best security for your business. Great cameras, wonderful resolution. Had intermittent problems with cctv camera not recording, called support, jevron spent hours with me, did everything he possibly could to reset system, set up each individual camera, didn’t hang up until everything was working properly. He was patient, extremely knowledgeable, his expertise got me through the issues flawlessly. I highly recommend these cameras, I would only recommend this company, it’s not only the cameras you are buying, it’s the support system, and they definitely have the best.